I was born and raised on the Piikani Nation where both my parents were fluent in the Blackfoot language and I grew up hearing the Blackfoot language daily. My parents were very prominent in our community with their knowledge of Piikani values and traditions that had a big influence in my childhood. I understand the Blackfoot language fluently and I had been a fluent speaker before I started school, however now I have difficulty recalling how to say many of the words that I once knew. I also understand that our language ties into our stories and way of life and it is for that reason that I am so adamant in preserving our language. I also feel that if we don’t take action now, we may very well lose the Blackfoot language. 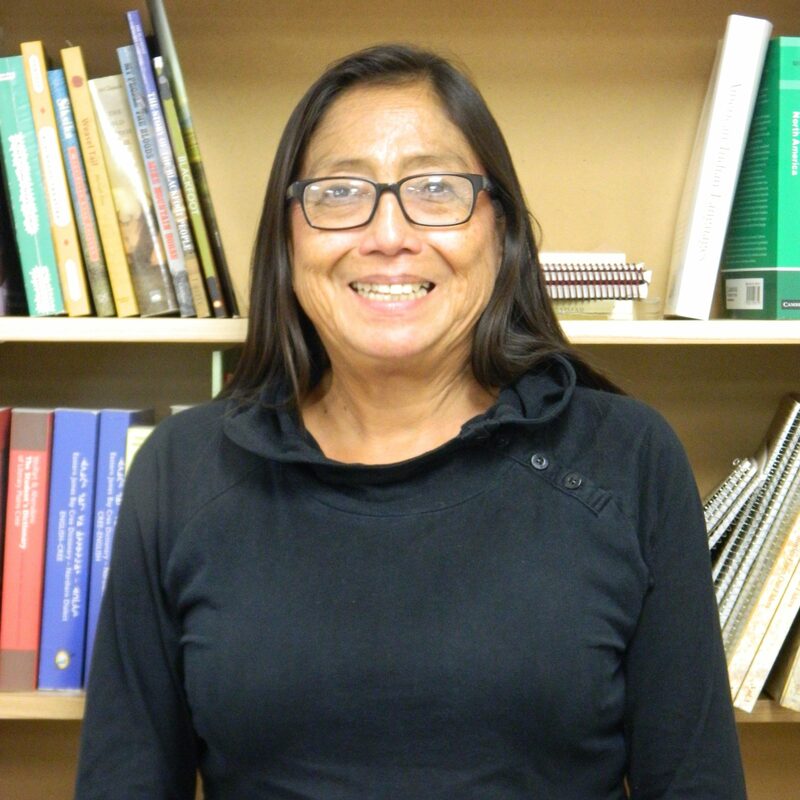 I was fortunate to have been chosen to be a part of The Blackfoot Digital Dictionary project where my role was that of a Blackfoot speaker: I assisted the team with the pronunciation and the orthography of the language. I have also provided a Piikani perspective into the project. I have had several sessions with Piikani fluent speakers in the recording for the Linguistic Atlas Template to detect, if any, the unique Piikani dialect. With the Atlas project, I worked on the Audacity audio clips and the translations of the Atlas project. I worked on the Traditional Values theme for the dictionary. In addition to my traditional knowledge, I also have my Bachelor of Arts Degree from the University of Lethbridge with a Major in Native American Studies. I have learned and gained a huge amount of experience working on this project and have made some lifelong friends who have shared their knowledge and expertise with me that I will keep dear to my heart.